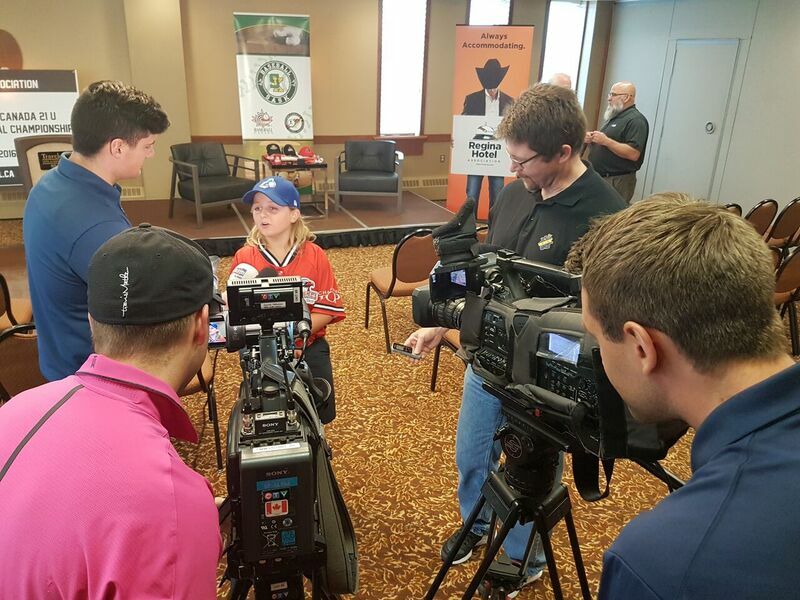 Like any good leadoff man, Ethan Perron set the table for others at the Baseball Canada 21-and-under junior championship in Regina. Perron was the only batboy when the 2015 championship was held in the Queen City. 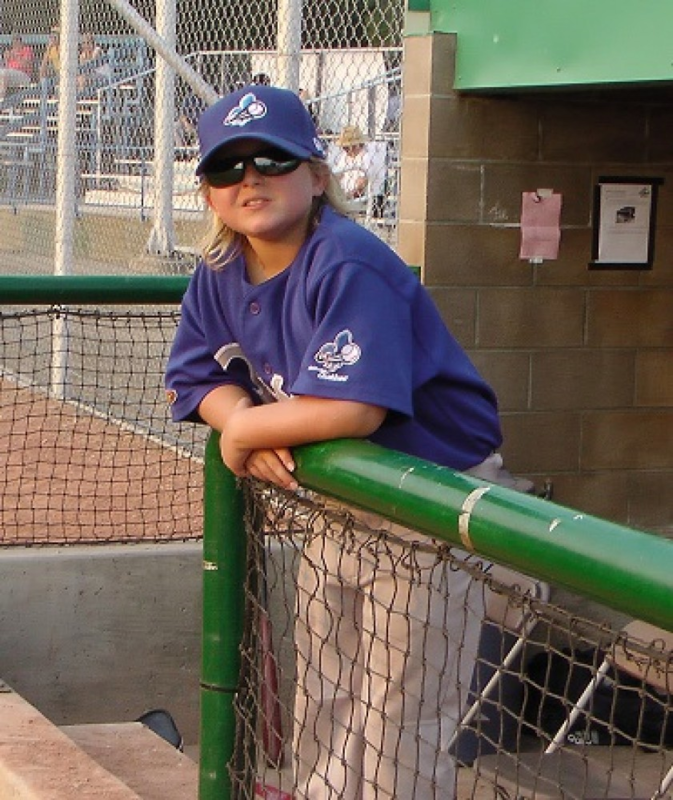 He did such a stellar job for Team Quebec when it won the title that organizers decided to let all eight entries have batboys during the 2016 tournament (Aug. 18-22, Currie Field and Optimist Park). In 2015, organizers didn’t have plans to arrange batboys for the teams, but the Quebec squad asked for one. Organizers went searching for a bilingual youth and Perron — a French immersion student at St. Angela Merici School — was discovered. 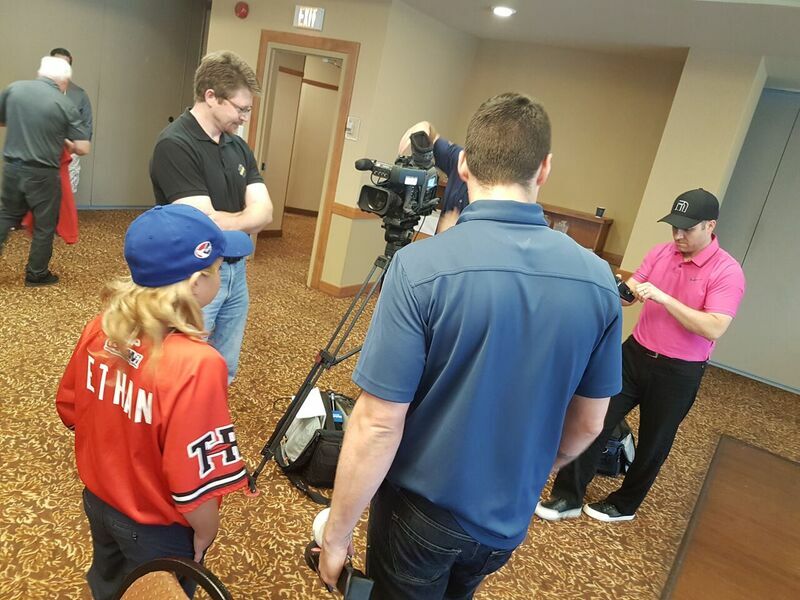 The 11-year-old admitted Thursday that he was pretty nervous before meeting the Quebec players and coaches, but they quickly made him feel welcome. Team Quebec gave Perron his own uniform for the tournament and then gave him the task of making pre-game inspirational talks. It all helped him feel like a member of the team — and that feeling only grew after the gold-medal game. A video of the team’s celebration shows Perron receiving his own gold medal before the players — who can be heard calling “E-than! E-than!” — hoist the boy onto their shoulders. “We won and they lifted me up on their shoulders,” he continued. “I didn’t expect that. I got a gold medal. That’s why it was the highlight — not just because we won but because they made me feel like I was part of the team. Days after the tournament, a package arrived at the Perron home. 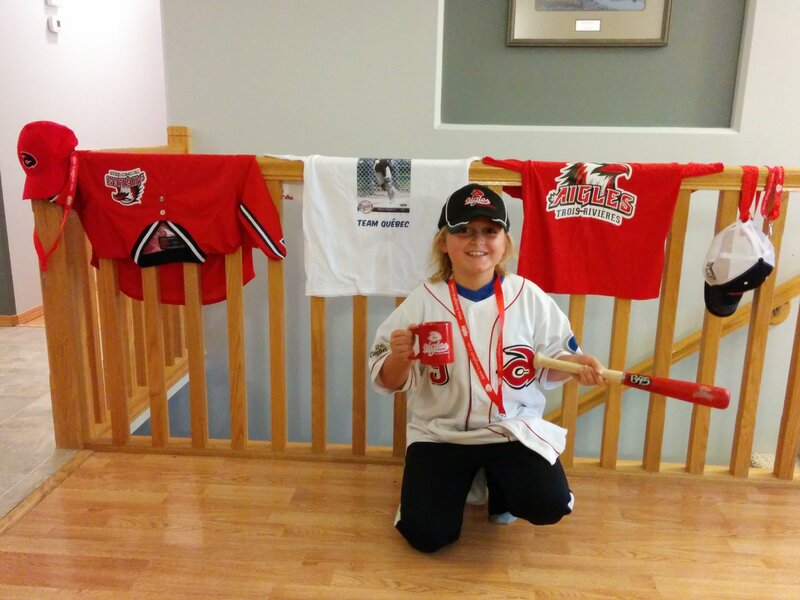 The package contained a mug, hats and T-shirts from the Quebec team, as well as a T-shirt with Perron’s name on the back and a picture of him playing baseball on the front. 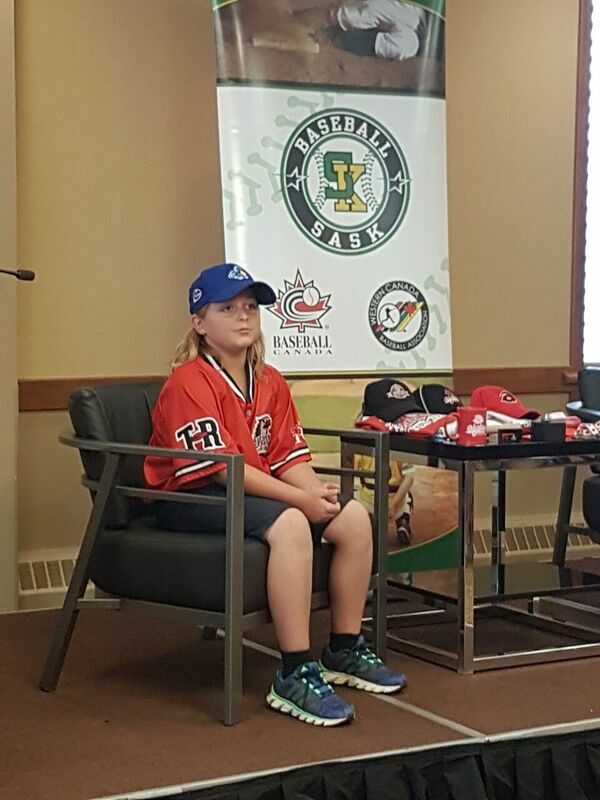 Perron expects a different team from Quebec to represent the province at this year’s tournament, but he’s eager to again be a batboy just the same. The fact that others are to get the opportunity as well is gratifying for him. 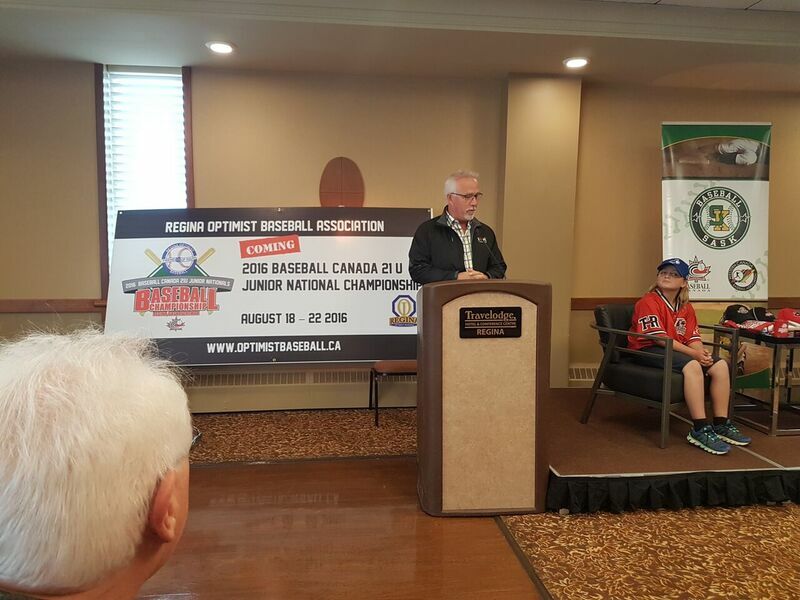 The 2016 tournament is to comprise teams from British Columbia, Manitoba, New Brunswick, Nova Scotia, Ontario, Quebec and Saskatchewan as well as a host team from Regina.